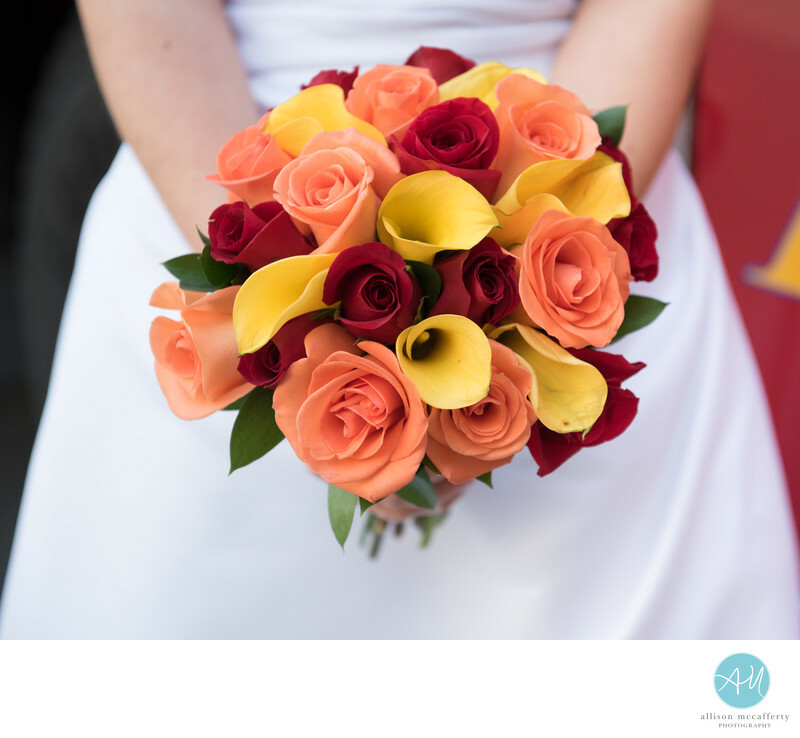 This gorgeous wedding bouquet was for a Cherry Hill bride. She married the chief firefighter in the firehouse. They incorporated reds, yellows and oranges to extend the fire theme throughout their wedding decor and details. Location: 1100 Marlkress Rd, Cherry Hill, NJ 08003.